Apart from featuring a bezel-less display that does not seem to have the dreaded 2:1 ratio, the "Ghost" smartphone is clearly one of those atypical models that do not come with BlackBerry's signature mechanical keyboard. BlackBerry is well-known for sticking to the mini QWERTY mechanical keyboard design integrated in most of the handheld devices it releases. It is true that there have been a few models that did not feature the keyboard, but these were primarily released outside of the US. At least BlackBerry is open to adapting to the market requirements and not gradually die like the original Nokia. 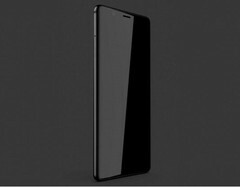 It seems like BlackBerry is even considering to flirt with the ever-increasingly present bezel-less design, as new leaks point out that the company is working on a device code-named “Ghost”. 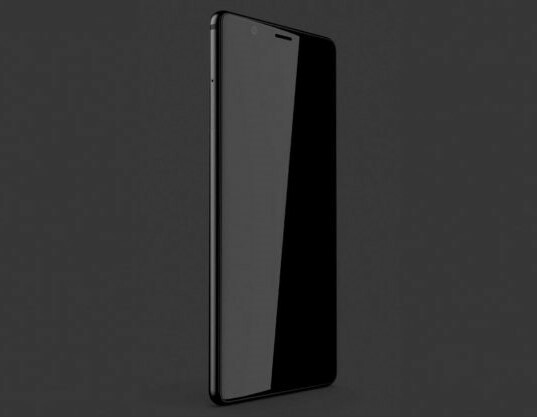 Leaked by Evan Blass, the “Ghost” prototype is said to be a premium Android handset specifically designed for the Indian market. BlackBerry is not manufacturing this model itself, but through a licensee called Optiemus Infracom, the same company that also manufactured the BlackBerry KEYone Limited Edition Black. The leaked picture does not reveal the real extent of the screen, however, the display does not seem to have the 2:1 ratio and the fingerprint sensor is nowhere to be seen on the front (could be embedded in the display itself). Judging from the thickness, the mechanical keyboard was dropped, as well. No info on availability and price for now, but it is certainly interesting to see BlackBerry making an effort to expand to other markets.